Falcon Song by Kristin Cross Kate can handle that Jason Falcon is gorgeous. And she can handle that he is fantastically talented, and competent, and funny, and sweet, and . . . . well, all of the things he is. What she isn’t sure she can handle is that he and his country band have suddenly become wildly famous. Even though she has always known that he near worships her, with millions of girls now throwing themselves at him, Kate is afraid that Jason will find he no longer loves Kate best. Then, when she discovers something completely earth shattering, it only makes her more unsure. Realizing that she can never settle for less than absolute devotion, as she is struggling to find what her place will be in Jason’s new top of the charts world, Kate wonders how you can ever truly know that things will work out. I love Terri Blackstock’s books, and If I Run is no exception, although the ending did leave me with hope of another book. What would you do if you entered your friend’s home and saw him covered in blood? A knife protruding from him? Probably the same as Casey did, she tried to give him CPR, checked his pulse, pulled out the knife, and tracked her shoe prints all over the crime scene. Of course, she left her DNA there, and took the knife with her. When her car is later found with the weapon in it, whom do you think the police and public think committed the murder? Now we follow Casey on the run, and was it a mistake to run? As we go deeper and deeper into this story you begin to understand her reasoning. What a smart girl Casey is and seems to always be two steps ahead of those who are following her. Can she get safely away and make a new life for herself? She loves her mother and her sister, how do you give up family. My heart cried for her and the injustice that is happening, and what compassion she shows her fellow humans, not the heart of a murderer. Once you pick this book up you won’t want to put it down until the last page is turned, and then you will be looking and hoping soon for another book, don’t miss this, you won’t regret it! Tracie Peterson is the bestselling, award-winning author of more than 100 novels. Tracie also teaches writing workshops at a variety of conferences on subjects such as inspirational romance and historical research. She and her family live in Montana. **||** Kimberley Woodhouse is a multipublished author of fiction and nonfiction. A popular speaker/teacher, she’s shared her theme of Joy Through Trials with over 150,000 people at more than a thousand venues across the country. She lives, writes, and homeschools with her husband of twenty-plus years and their two awesome teens live in Colorado. 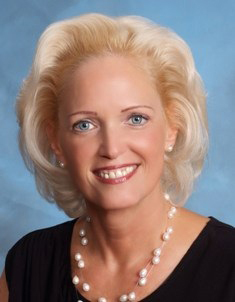 Find out more about Tracie Peterson at http://bakerpublishinggroup.com/bethanyhouse. This story opens on such a sad note with a heinous crime of murder in front of a six year old, who becomes so traumatized that he never talks again. Who would do such an evil thing, and then to make things worse, if possible, Jimmy’s dad Woody is accused of killing his wife. Enter Lillian Porter whom as the book opens has made a decision that is about to affect every ones life, she is going to go west and take a job as a nanny. Now Lillian has grown up sheltered and with a silver spoon type of life, and now she is defying her Grandfather, who in the end disowns her. She was orphaned as a baby and raised by her wealthy grandparents, but now wants to follow in her mother’s footsteps. We are about to experience life in Angels Camp California, and are surprised how the man they know and loved is now treated. There is some violence and tears, and chuckles and laughs, a bit of romance, and as we follow this story we move in with these characters and live with them. I enjoyed this book, and see how we can make rash decisions, and how they effect everyone, not just us. I loved particularly the character of Henry, simple-minded gentle giant; he was a joy in this book. 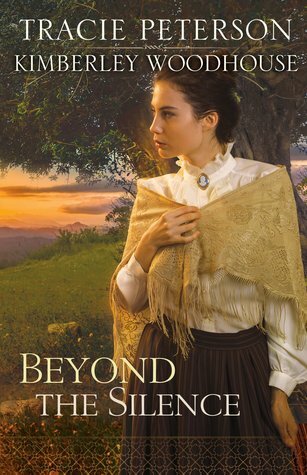 Enjoy this captivating story about a real town in the old west. Ship happens. Cruises can be quite the adventure within an adventure if you keep your eyes open and watch the little dramas that are going on among the several thousand passengers and crew members aboard the ship. 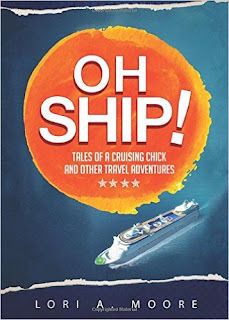 Reading author Lori A. Moore’s true tales of things that happen on the high seas will have you saying, “Oh Ship!” From stories of passengers pepper-spraying other passengers to grown men fighting over glass figurines of penguins, you’ll laugh until your ribs hurt. • Visit Lori Moore’s website. • Connect with Lori on Facebook and Twitter. • Find out more about Lori at Goodreads. Be ready for quite a few chuckles, and some serious information that is provided, like about the morgue on ship. Guess I never thought about there being one, but guess they could be necessary, you sure wouldn’t want a body in with the food! 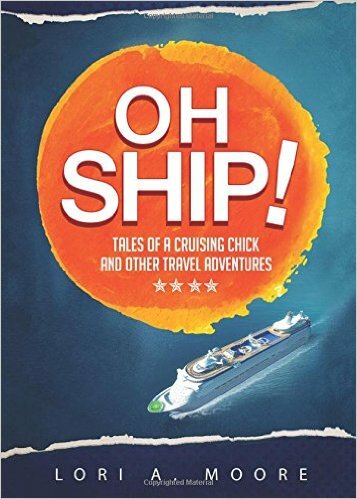 If a book can make you want to take a cruise, this one sure can, the author has sure been on a lot of them. I never knew about decorating your door, and although I’ve only been on two and it has been a few years. She gives some really valuable hints at the end on each chapter, things you don’t think of and can be very beneficial to heed. This book is only 134 pages long, but filled with experiences that will keep you page turning and wanting more, my main complaint is that I wanted a bit more. Come along and travel with Lori and her friends, you will feel like you are on these marvelous trips with them, want to dance? Grace can well understand why Mark took such a risk once she hears his wrenching reasons. But she fears even prayer will not convince her father to restore his blessing on their union. She wills herself to face the end of her dreams, but sudden danger and an impossible act of generosity will show her that abiding hope can inspire the most precious of miracles. 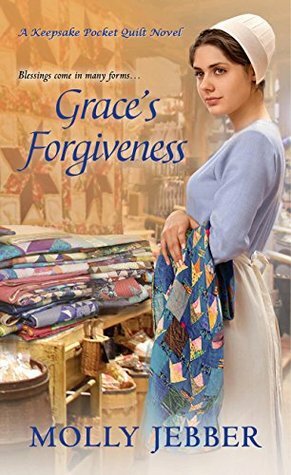 Grace’s Forgiveness brings home what people that are different have dealt with all of their lives. For Grace it was being born with a mark on her face, and we meet with people who won’t even look at her, never mind letting her wait on them in her store. The setting for this book is Berlin Ohio, and living in a conservative Amish community. This is a very strict way of life, and it appeared that you could be shunned for something we would find very innocent, but the setting is 1900, and things were very different. From the minute we meet Mark King, we find a connection sparking between Grace and Mark, and he doesn’t seem to even notice her birthmark. Can these two overcome the actions of others, and it surprised me what can cause you to be shunned. I enjoyed the kindness of this community, and how they all come together and help one another. We are even with Ruth, when as a midwife; she helps deliver a few babies. There is some danger in this community and it has landed at Mark’s doorstep, and we hope that all will survive in the end. If you looking for a new adult coloring book, a rage that seems to be going on at this time, then this one might just be the one you are looking for! 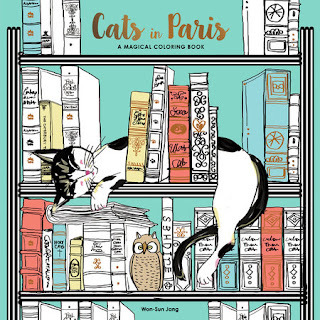 The cover will draw you in, especially if you like cats, and books, and I can just picture a feline lying in amongst the books on a shelf. We have darling quotes and really sweet pictures, to color of course, but also to make you smile. Once I got out my coloring tools, the only question I had was where to start, I saw many pages that my fingers itched to start coloring on, there are so many choices with 80 pages to choose from. Let your imagination go as you pick up your pencil, or crayon, and have fun. 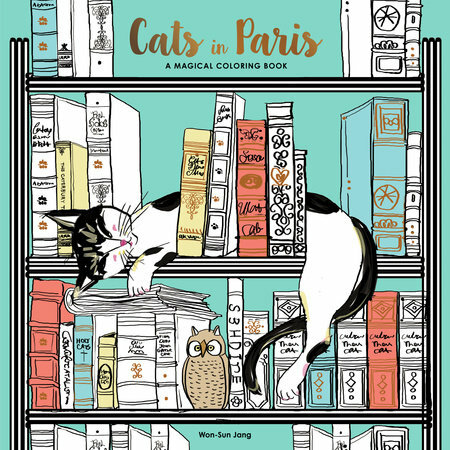 You will not be disappointed here, such a magical coloring book! When Miss Lydia Garrett's guardian is murdered, and the authorities refuse to investigate the odd circumstances, she vows to catch the culprit. The same night the Earl of Danbury is murdered in his bed. Against all odds it appears that the murders are related - and Anthony Douglas, the new Lord Danbury, is bent on revenge. The clues point to the former Earl's first naval command. 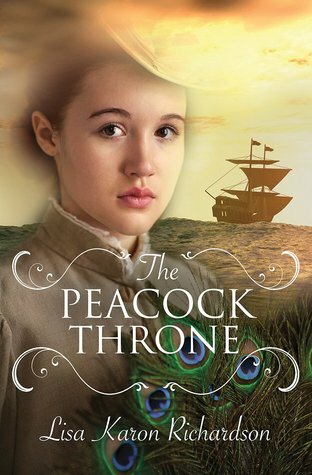 In 1758 the Earl spirited away and hid the magnificent Peacock Throne at the behest of the Indian royal family. To draw out the murderer, Anthony and Lydia agree that they must locate the throne. However, they are not the only ones interested in the Peacock Throne. Marcus Wiltshire, agent of His Majesty's intelligence services, has received hints that Bonaparte intends to return the throne to India and leverage its mystical significance to foment rebellion and cut England off from her most important trading partner. When the amateur sleuths join forces with the professional agent, the quest for the throne leads them around the globe on an adventure steeped in danger, treachery, and romance. 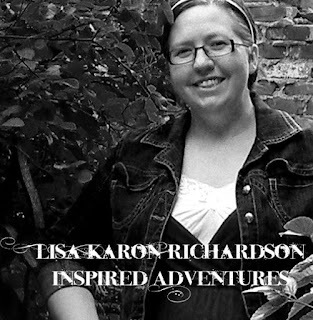 Influenced by books like The Secret Garden and The Little Princess, Lisa Karon Richardson’s early stories were heavy on boarding schools and creepy houses. 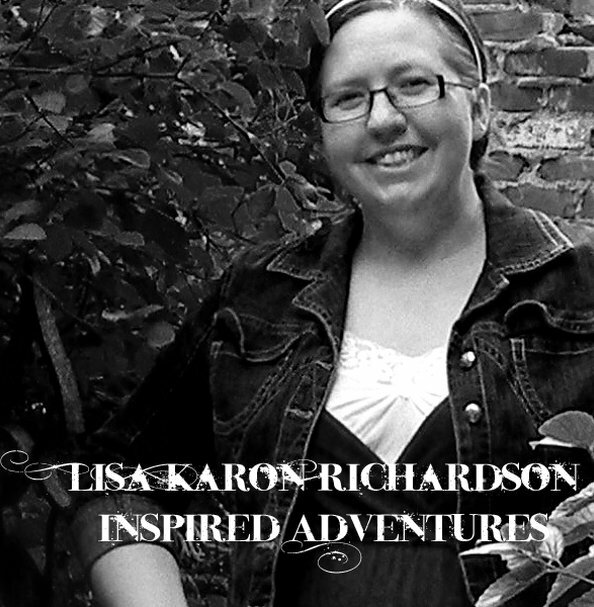 Now, even though she’s (mostly) grown-up she still loves a healthy dash of adventure in any story she creates, even her real-life story. She’s been a missionary to the Seychelles and Gabon and now that she and her husband are back in America, they are tackling a new adventure, starting a daughter-work church in a new city while raising a family. She has published several novels and novellas. The most recent, Curtain Call, which was co-authored with Jennifer AlLee, released in March, 2014. Murders that happened on different sides of London end up connecting two people whom are unknown to one another at the time, end up forming a team to find the murderer. This is how Lydia Garrett and The Earl of Danbury end up meeting; the third to join the team is Marcus Harting, an agent of His Majesty’s intelligence services. Marcus does not trust Anthony, The Earl of Danbury, and enlists Lydia to bring him information. Now while I didn’t like that he was making her spy on someone whom was kind to her, I did love how he treated her. I could just imagine the gown that he had made for her, for the party that they went to in India. Yes we do a bit of traveling in this book, and there are more murders, and we find ourselves on a ship under cannon fire. Now this story takes place in the early 1800’s and Napoleon is leading the French, and we meet this head on. We also get a glimpse of a throne of incredible worth and beauty, and it is described so wonderfully, you feel like you can tough it. There is so much action in this book, and Ms. Lydia is one awesome young woman, never a dull moment in this ladies life, whether she is climbing through windows, or cutting the lines of grappling hooks, or writing notes with clues hidden in them. Don’t miss this intriguing read; you won’t want to put it down. I received this book through Kregel Publishing Book Bloggers, and was not required to give a positive review. The morning was cool and radiant. A west wind had swept the clouds far inland to the gentle hills beyond the city of Bordeaux. Benjamin Cooker gave two whistles, one short, the other drawn out, and Bacchus appeared from the high grass on the riverbank. He had that impertinent look Irish setters get when you remind them that they are dogs. Benjamin liked this clever and deceptively disciplined attitude. He would never roam his childhood landscapes with an animal that was too docile. The Médoc was still wild, despite its well-ordered garden veneer, and it would always be that way. In the distance, a few low wisps of fog were finishing their lazy dance along the Gironde Estuary. It was nearly eleven and time to go home. The Grangebelle’s graceful shape rose among the poplar trees. The building would have seemed bulky, were it not for the elegant roof, the lightly draped pergola, the delicate sparkling of the greenhouse, and the old varnished vases set out in the vegetation with studied negligence. Elisabeth moved silently among the copper pots in the kitchen. She shivered slightly when he kissed her neck. He poured himself a cup of Grand Yunnan tea with slow and precise movements. She knew he was tired. She was perfectly aware of his nights of poor sleep, the deleted pages, the files he relentlessly ordered and reordered, the doubts he had when he completed a tasting note, his concern for the smallest detail, and the chronic worry that he would deliver his manuscript late and disappoint his publisher. Benjamin had worked in his office until five in the morning, taking refuge in the green opaline halo of his old Empire-style lamp. Then he had slipped under the covers to join her, his body ice-cold and his breathing short. 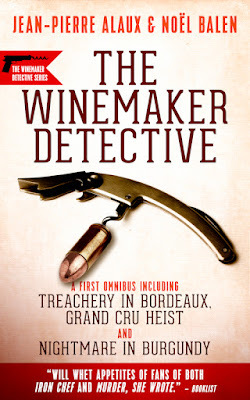 Who could have imagined that France’s most famous winemaker, the established authority who caused both grand cru estate owners and unknown young vintners to tremble, was, in fact, a man tormented by the meaning of his words, the accuracy of his judgments, and an objectivity that he brandished like a religious credo? When it came time to hand over a manuscript, his self-doubts assailed him—the man whom the entire profession thought of as entrenched in certainty and science and masterfully accomplished in the fine art of critiquing wines. Benjamin Cooker knew that everyone, without exception, would be waiting for his book to arrive in the stores. They would be weighing his qualifiers and judging his worst and best choices. It was essential that the publication of his guide never blemish his reputation as a winemaker and a sought-after, even secret, advisor in the art of elaborating wines. He made it a point of honor and proved it with his sometimes scathing criticism of wines he himself had crafted. To him, moral integrity stemmed more often than not from this astonishing faculty of uncompromising self-judgment, even when it was forced and terribly unfair. He sometimes thought it belonged to another century, a faraway time, when self-esteem and a certain sense of honor prevailed over the desire for recognition. He closed his eyes as he drank his tea. He knew that this moment of rest would not last long and that he should make the most of it, appreciating these slow, spread-out seconds. Elisabeth remained quiet. “Send him to me as soon as he gets here. I need to have a few words with him before lunch,” he said, calmly setting down his cup. Benjamin Cooker dragged himself back to the half-light of his office. He spent more than an hour examining his tasting notes for a Premières Côtes de Blaye and finished by persuading himself that there was nothing left to add. However, his preamble about the specific characteristics of the soil and the vineyard’s history was a little short on information, despite his in-depth knowledge of every acre. There was nothing wrong with what he had written, but nothing really specific either. He would have to draw a more detailed picture, refine the contours, and play with an anecdote or two to clarify the text. He did not even lift his eyes from his notes when the doorbell rang out in the hallway. He was nervously scribbling some poetic lines about the Blaye citadel when Elisabeth knocked at the door. She knocked three more times before he told her to come in. “Welcome, young man!” the winemaker said, pushing his glasses to his forehead. An athletic and honest-looking young man with short hair honored him with a strong handshake that left Benjamin wondering if his fingers would still work. “So you’re Virgile Lanssien,” Benjamin said, lowering his reading glasses to the tip of his nose. He invited the young man to sit down and observed him over the top of his lenses for a minute. His dark, pensive good looks would have been almost overwhelming, were it not for the spark of mischief in his eyes. He was dressed simply in a pair of slightly washed-out jeans, a navy blue polo shirt, and white sneakers. He was smart enough not to feign a laid-back attitude when everything about him was on edge. Benjamin appreciated people who did not posture. “More or less. There were enough grapes for me to offer you a bottle,” Benjamin said, smiling. The young man settled into the armchair and relaxed a little. He knew that these formalities foreshadowed a flow of questions that he would have to answer with candor and precision. Benjamin Cooker was a master no cheating could fool. Virgile had read everything written by this man, whose reputation stretched as far as North America and South Africa. He had also heard everything there was to know about the “flying winemaker”—all the scandal mongering and bitter words, along with the passionate commentaries and praise. Everything and its opposite were the usual lot of exceptional people, the ransom paid by those who had succeeded in imposing their singularity. Virgile Lanssien tried to hide his apprehension and answered the sudden volley of questions that descended on him as distinctly as possible. They covered so many topics—layering, copper sulfate spraying, sulfur dioxide additions, microclimates, grand cru longevity, aging on lees, filtering and fining, gravel or limestone soils, fermentation temperatures, primary aromas, and degrees of alcohol—in such disorder, yet Virgile managed to avoid the traps with a skilled farmer’s cunning. Elisabeth, wearing a checkered apron tied at her waist, welcomed them into the kitchen. Benjamin was surprised to see his wife accept the young man as if he were already part of the family. But Elisabeth knew her man well enough to guess that the job interview was going well. The winemaker grabbed three stem glasses and poured the wine he had decanted that morning, before the walk with Bacchus. Benjamin observed his future assistant while he cut the bread and placed the even slices in a basket. The boy knew how to taste. He used his eyes, his nose, and his palate in a natural way, with the attitude of someone who knew more than he showed. An amused smile crossed Benjamin’s lips. The young man had a talent for finding the truth beneath the surface but also a certain guilelessness. Virgile was a cultivated ingénue with enough freshness and spontaneity to compensate for the long years he had focused entirely on his studies. “I will not be so cruel as to subject you to a blind tasting,” Benjamin said, turning the empty bottle to display the label. “I made something simple,” Elisabeth interrupted, putting an old cast-iron casserole on the table. Virgile paused, unfolded his napkin, and gave the pot an apprehensive look. Large chunks of eel floated in a thick greenish sauce filled with so many herbs, it looked like a patch of weeds. “Lamprey à la Bordelaise. It’s a classic,” said Elisabeth. Virgile stuck his fork into a piece of eel, dipped it in the sauce, and nibbled at it. Virgile did as he was told, with a pleasure he had some trouble hiding. Benjamin remained silent and savored his lamprey. The guest took the blow without flinching. Benjamin had no trouble pushing his interrogation further. The Pessac-Léognan grand cru loosened Virgile’s tongue, and secrets slipped out in every sentence. He recounted his childhood in Montravel, near Bergerac, where his father was a wine grower who shipped his harvest to the wine cooperative and had no ambitions for his estate. “You’ll take over the business one day, won’t you?” Elisabeth asked. “That’s too bad. 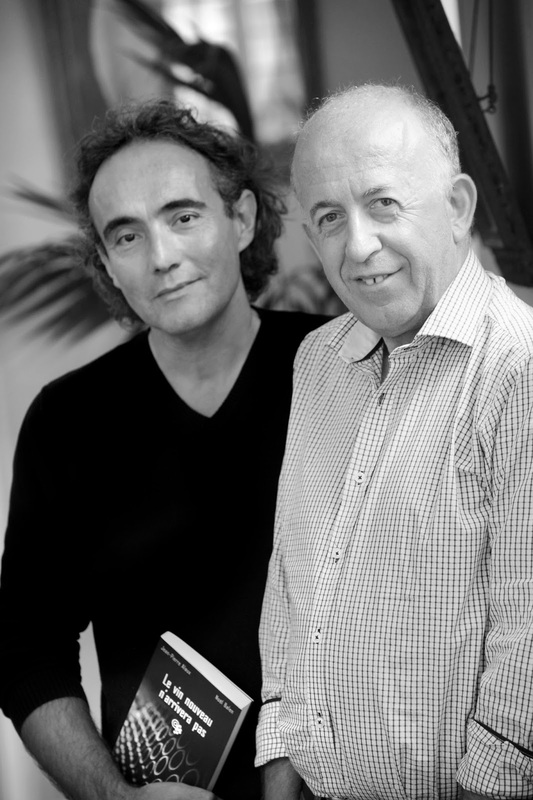 Bergerac wines have come a long way and could certainly benefit from your talent,” Benjamin said. He talked a lot, not so much because he wanted to monopolize the conversation, but rather to satisfy his hosts’ unfeigned curiosity. To earn his future boss’s trust, he felt it was appropriate to answer the Cooker couple’s unspoken questions. The winemaker needed to know what was hidden in this excellent and dedicated student. Never had he experienced a job interview that was so informal and piecemeal. He disclosed himself without ostentation, without mystery, and without immodesty. He talked about swimming in the Dordogne River and playing for the Bergerac rugby club, but only for one season, because he preferred canoeing and kayaking. He mentioned his first medals when he joined the swim team, his years studying winemaking at La Tour Blanche, near Château d’Yquem, before he did his military service, and his studio apartment on Rue Saint-Rémi, from which you could see a little bit of the Garonne. Between two anecdotes, Benjamin went to get a second carafe of Haut-Brion and allowed himself to share some of his own personal memories. It pleased Elisabeth to see her husband finally relaxed and able to forget the tribulations of his writing for a while. Benjamin recounted the crazy, hare-brained ideas his father, Paul William—an antique dealer in London—had and his mother Eleonore’s patience. Her maiden name was Fontenac, and she had spent her entire youth here in Grangebelle, on the banks of the Gironde, before she fell in love with that extravagant Englishman who collected old books in a shop at Notting Hill. Virgile listened. His handsome brown eyes were wide open, and he looked like a slightly frightened child as he began to fully comprehend that this was the famous Cooker, the Cooker, whose books he had devoured and who was now sharing confidences. The oenologist enjoyed telling the young graduate about his chaotic career. He had studied law for a year in England, spent a year at the Paris Fine Arts Academy, worked for a year at the Wagons-Lits in train catering and sleeping-car services, and then bartended for a year at the Caveau de la Huchette in the capital before being hired at a wine shop in the fifth arrondissement in Paris, where he worked for three years while taking wine classes. “That’s an unusual career path,” Virgile said. “I don’t really have an opinion on the subject,” Virgile said, studying the bottom of his empty glass. Benjamin Cooker stood up and folded his napkin. The winemaker took a last sip of Haut-Brion and set his glass down slowly. He slipped a hand into his jacket pocket, looked Virgile in the eye, and handed him a set of keys. Crossroads by Mary Ting Can two worlds collide in dreams? Protecting her from the fallen was his duty. Falling in love was never part of his plan. Loving her was forbidden. Being with her was all that mattered, even if it meant he would be exiled for all eternity. Claudia Emerson's life is about to change when her good friend, who coincidentally shares the same first and last name, dies in a tragic accident. Distraught at the loss of her friend, Claudia's dreams become tumultuous, and through them she mysteriously travels to another world called Crossroads. There, she unexpectedly meets Michael, a nephilim--half angel, half human. Now that she's been there, fallen and demons are after her, suspecting she must be special, and it is up to Michael and the other nephilim to protect her. Her dream becomes a nightmare as more secrets are revealed about who she really is, and the true identities of the people she loves most.